A Massive Cosmic Impact caused a Global Cataclysm 12,980 years ago, and a second event 11,600 years ago which caused incredible destruction to planet Earth, and Humanity. (Most likely an Asteroid/Comet Impacted Earth - Perhaps in some way related to the legends of Nibiru and Planet X? Evidence from the Younger Dryas Boundary prove that a cosmic impact to the North American ice-shelf and caused a rapid rise in global sea level in excess of 400Ft (122M). This would also explain the more than 500 stories of a global flood, which is commonly referred to as the Deluge, or Noah’s Ark flood. Could this also explain the lost civilization of Atlantis? Could the Asteroid / Comet that impacted Earth be what the legends describe as Planet X or Nibiru colliding with the planet – or perhaps the theory of the Moon hitting Earth? 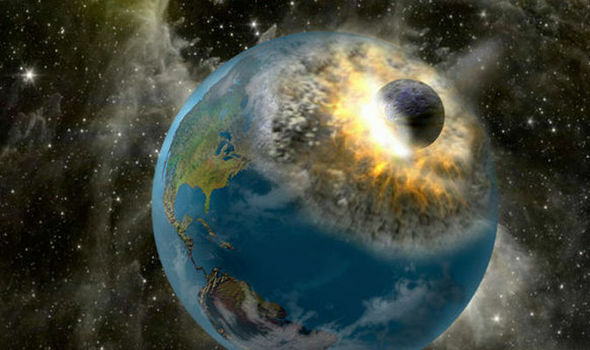 Many doomsday stories and legends have been passed down for thousands of years across nearly every continent on Earth.